THIS IS SOLD AS A MATTRESS ONLY. An OPTIONAL Better Than A Boxspring is available. Memory Foam Mattresses can be very expensive. We have found a way to discount the memory foam mattress and we call it the Cheap Memory Foam Mattress, not because it is badly built but because when compared to others, our memory foam mattress IS cheap! Our Twin Memory Foam Mattress is built from 3" of premium memory foam on top of 5" of premium high density polyurethane foam. 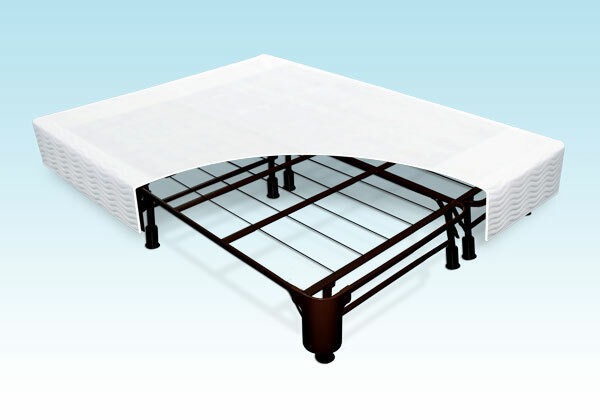 The polyurethane foam gives the mattress a good foundation to carry your weight. So, the three inches of memory foam cradles your body and the 5 inches of polyurethane foam supports you. This makes our Cheap Memory Foam Mattress 8" Thick. This mattress comes scrunched up to save you shipping costs plus it is easier to bring your mattress into your home and place it where it goes. You can replace your current mattress with our mattress or purchase an optional better than a boxspring which acts like a boxspring and a frame. An Optional Metal Better Than A Boxspring is available. If you choose this option, it acts as both a boxspring and a frame. Please allow 5 days to ship plus transit time. 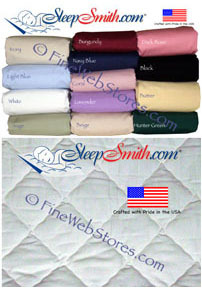 Our mattresses are squeezed tight to save you shipping costs. When received, allow from 24 hours to 48 hours to regain their size back. The King Cheap Memory Foam Mattress is built from 3in of premium memory foam on top of 5in of premium high density polyurethane foam.